We are in love with tunics. 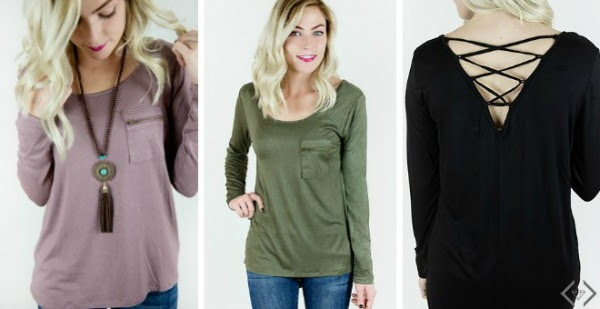 Fall is the perfect tunic weather and these are going to pair with everything from your comfiest leggings to your classiest skinnies. 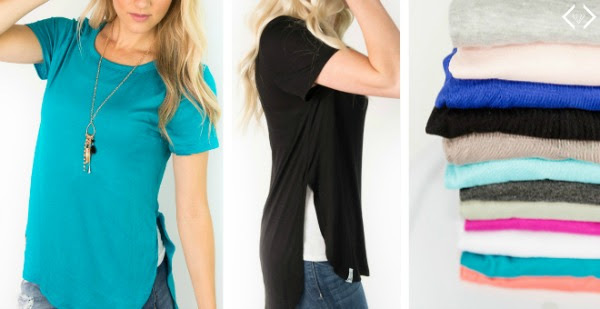 Style Steals - 9/19/16 - Tunics for 50% OFF + FREE SHIPPING w/code TUNICS. The code will take 50% OFF the lowest marked price, in the cart, with FREE SHIPPING. And the good news is that everything is under $20! Wear wedges and/or heels, and you will visually add more height to your lower leg to balance the length of the tunic.